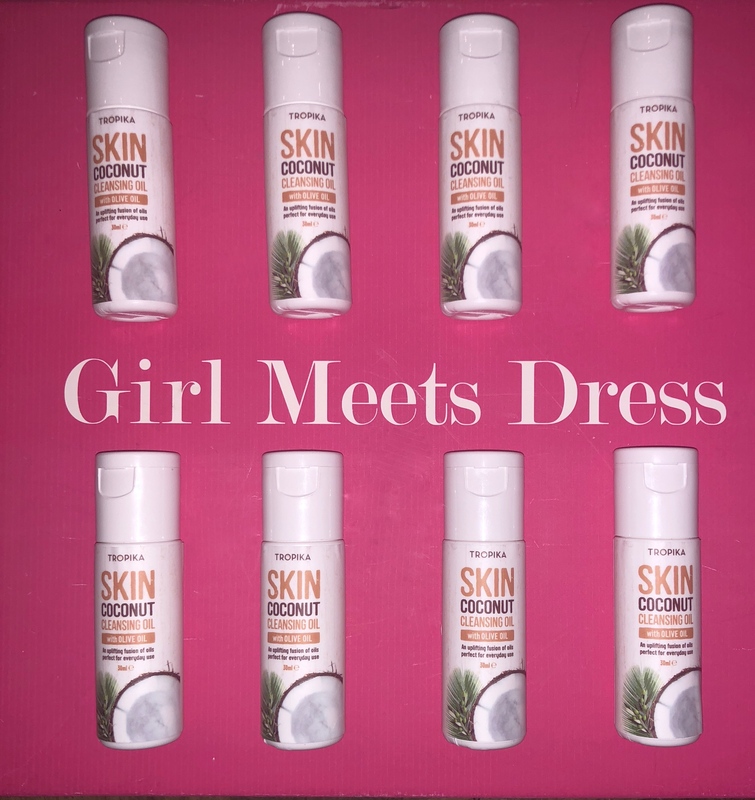 Girl Meets Dress has partnered up with Tropika; to offer you a sample of their Coconut Cleansing Oil, which was shortlisted as Editor’s Choice at the Beauty Award 2018, every time you hire a dress from us. Tropika is a multi award winning family run business. They are passionate about natural health and beauty, as well as their Malay heritage; which is why they source all their coconuts from local villages in Malaysia. Furthermore, they are actively engaged in research and development to continually enhance their formulations to deliver the very best family skincare. They are cruelty free, so they do not test on animals and are 100% vegan friendly. Click here to browse Tropika’s full range of products. Posted August 24th, 2018 in Offers & Competitions, Partner Offer. Tagged: borrow a dress, Coconut Cleansing oil, designer dress hire, Designer Dress Hire UK, Dress Hire, dress hire glasgow, dress hire london, dress hire UK, dress rental, dress rental london, dress rental uk, Girl Meet Dress, Girl Meets Dress, Girl Meets Dress and Tropika, girls meets dress, GMD, hire a dress, hire a dress UK, hire designer dresses uk, hire dress, Hire dresses, rent a dress, rent a dress london, Rent a dress uk, Rent designer dresses, rent designer dresses uk, rent dress london, rent dresses uk, rent the runway uk, Rent the Runway UK equivalent, tropika, Tropika Skincare.